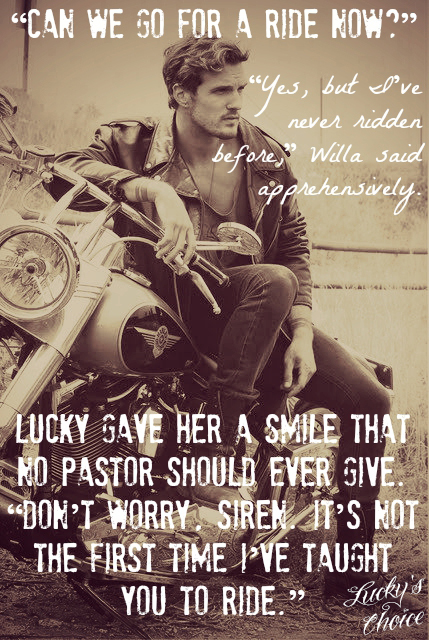 LUCKY’S CHOICE (The Last Riders #7) – Jamie Begley NOW AVAILABLE! Taking after my mother, I’ve always love to cook, and became pretty good if I do say so myself. I love to experiment and my unfortunate family has suffered through many. They now have learned to steer clear of those dishes. I absolutely lovethe holidays and my family puts up with my zany decorations. Previous PostPlaying With Trouble (Capital Confessions #2) – Chanel Cleeton 4 STAR REVIEWNext Post30 Days by Christine d’Abo REVIEW & GIVEAWAY!